There’s what you know. There’s what you don’t know. And then, there’s what you don’t know you don’t know, or so an old saying goes. 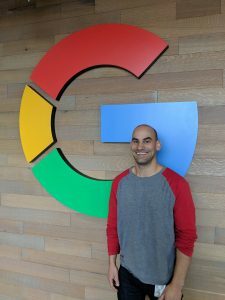 Matt McHale discovered the latter after graduating from MSU in 2003 with a marketing degree from the Eli Broad College of Business and en route to his current role at Google as head of mid-market acceleration based in Ann Arbor. In his nearly nine years at the information search giant, he has managed multiple billions of dollars in revenue. Along the way, he built upon what he learned at Broad as changing times and new opportunities gave him new perspectives. Like the growing importance of data to any company’s success. The lessons learned in real time doesn’t mean that time in college had no value. On the contrary; it is the solid base on which those professionally earned lessons are placed. That last point is critical in McHale’s view.